As science and technology rapidly advances, so does health and medicine. It therefore becomes crucial that every health professional, including dentists, stay well-informed of current advancements in their corresponding fields of practice. In order to stay registered and provide ethical care, all health professionals must attend a prescribed number of professional development hours. These training sessions may be in the form of lectures, conferences, hands-on workshops or study groups. At Salamanca Dental, a finalist in the 2018 Training Awards, we pride ourselves on our culture in consistently striving to improve to provide evidence-based and innovative care and customer service to our patients – whether it be from our dentists, dental assistants or practice manager. Our dentists also attend weekly doctors meetings to discuss cases and ensure the best treatment approaches are considered for our patients. You can rest assured that you are in skilled and capable hands when attending Salamanca Dental. Are you ready to have an enjoyable dental appointment? 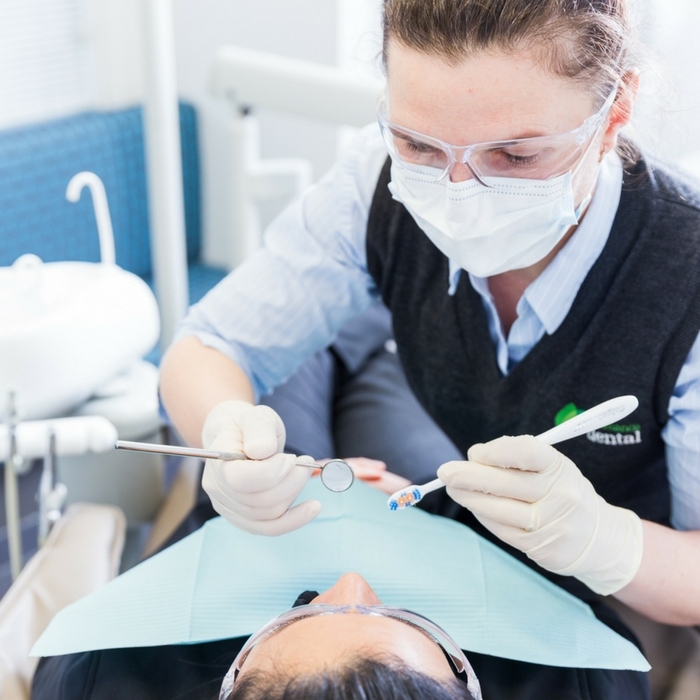 To speak to one of our friendly staff members, please call Salamanca Dental on (03) 62888070, contact us here, or book online using the button at the top of this page. We look forward to seeing you soon and remember to… smile like you mean it!